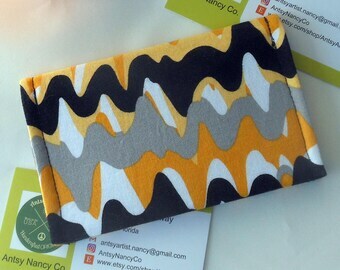 Announcement Antsy Artist specializes in creating Earth friendly items and accessories through reuse methods. Browse shop sections for I.D. 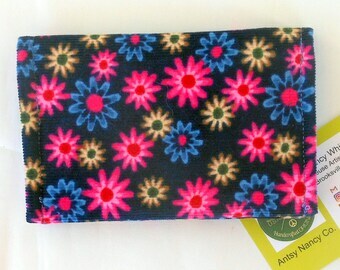 wallets, phone and passport pouches, bags, home decor and more. 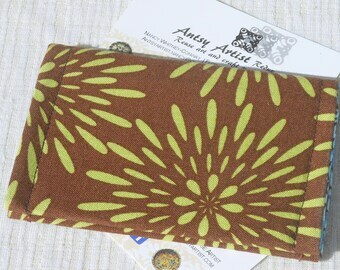 Antsy Artist specializes in creating Earth friendly items and accessories through reuse methods. Browse shop sections for I.D. 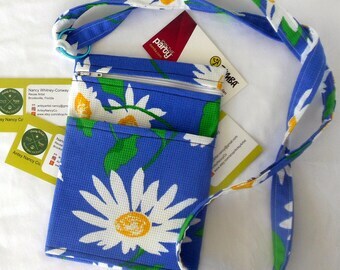 wallets, phone and passport pouches, bags, home decor and more. So ocute and very well made! Perfect! Just what I was looking for and quick shipping. This is Antsy's multitask area for printing, sewing and cutting. A lot of work gets done in this small space. I am explaining the process to show attendees at Fiesta in the Park/Orlando. 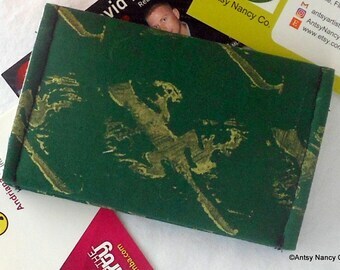 This is the stamp I carved to print scrap fabric used to make ID wallets. Here are some of my stamps. My favorite material is bass wood. I love to use Moo Carve for creating detailed stamps. Reuse/Tissue Collage example. This is a wood plate that's collaged with paper I printed with my Manatee stamp. Antsy Artist Redux went from bringing art to the people to bringing people to the art. Until Etsy came along, the only logical way for me to connect with potential customers meant weekends of traveling, setting up a booth and spending lots of time at craft shows. It's fun to meet people, and be able to explain my work, in person. Very few understand how I make the different things I create. A common response is, they've never seen anything like my work before. As much fun as those shows can be, there are limitations and drawbacks. I am serious about my work and taking better care of our Earth. I believe we all need to observe recycle/reuse/recycle practices while being earth friendly. - Thrift shops are my favorite sources for used bowls, frames, vases, furniture, etc, to use for tissue collage pieces. 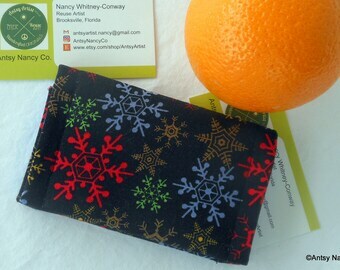 -Accumulated scrap fabric and vintage yarn is used to make wallets and pouches, and crochet bags and hats. 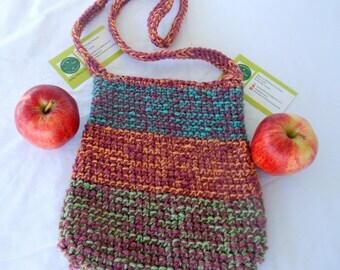 My Pearlie's Stash collection includes pieces made with yarn that is 50 years old. 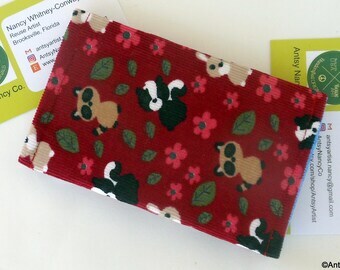 Fellow sewers give me their leftover fabric pieces that are too small to be of use to them, but are the right size for my ID wallets and pouches. - I use bass wood for carving stamps used to print on odd pieces of tissue paper for collaging and the scrap fabric for sewing. - Everyone I know saves their plastic grocery bags for me. 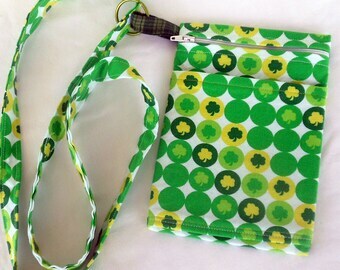 I use them to make plarn, to crochet bags and purses. For me, it is important to share this part of my story and why I have to make that connection with everyone. Etsy is a great venue -- but I didn't understand how having my own shop could actually work, with my unique items and desire to educate the consumer (silly me). 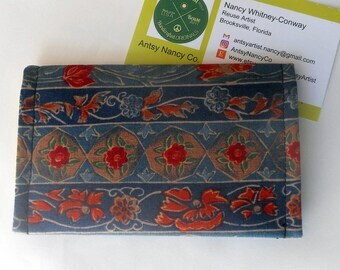 I opened an Etsy shop and let it sit, preferring the abundance of craft shows and great green markets in the Palm Beach area, where I lived. Then we moved to the Florida Gulf Coast and that meant starting over, finding shows and facing longer commutes. The good news is there is so much natural beauty here to inspire my designs and carvings. I wanted to spend my time creating. I've always worked a full- time job and my art was something I did on my "free" time. Now, my art is my full time job and I'm getting stingy with my time. So, it hit me. Antsy Artist Redux and Etsy make perfect sense. My shop is in shape. I am ready to give you the red carpet tour. My home studio feels like Santa's workshop, less the elves. No more pack and unpack sessions for shows, although I'll still do some favorites. It's exciting to see the shop bloom and business grow. 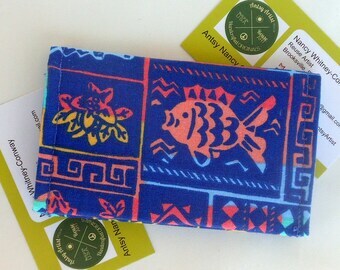 Now, I look forward to meeting more people and making new friends through my shop. My art was a product of being resourceful when I was growing up. Now it is called upcycling and in fashion. 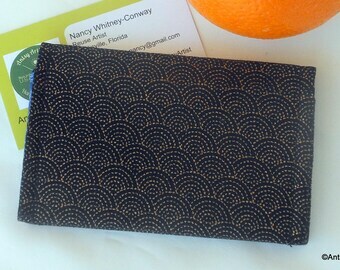 I love finding new ways to create practical items by reuse and recycling. You could say it is my obsession. Welcome to Antsy Artist Redux. 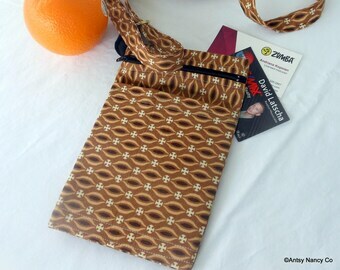 I am pleased to offer a wide array of quality handmade products designed and created by me. 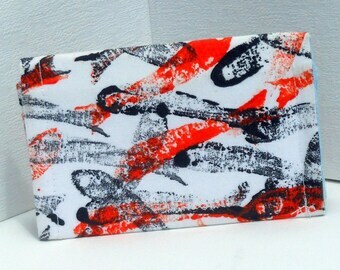 I am dedicated to developing practical and new items through reuse processes. Here you will find a variety of home decor, bags and accessories -- many are one of a kind. Please contact me for custom order information. For sale is the item described and does not include other items or accessories pictured, unless otherwise stated. The items I offer are original designs made from used materials and any dings, scratches or signs of wear are inherent to the finished artwork. I will try to be as descriptive as possible about my works both written and in photos. Colors are as true as possible, but may look different on your monitor. Please reply me with any questions you have before purchase and I will supply additional information, as necessary. I want you to love the piece(s) before you purchase and after you receive your shipment. All sales are final. Discounted, reduced and marked down merchandise is sold as is and cannot be returned for a refund or credit. - Merchandise will be eligible for return purchase price for 30 days from invoice date. - You must notify Antsy Artist Redux first for return approval. - Returned item must be in the condition in which it was received and not worn, soiled, used or damaged. - Customer pays for return shipping. All other shipping fees, are non-refundable. 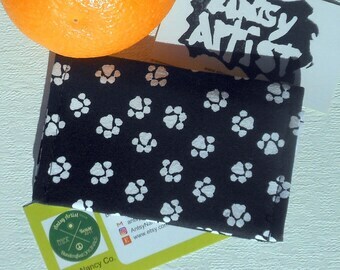 - Antsy Artist Redux is not responsible for items lost in return shipping. 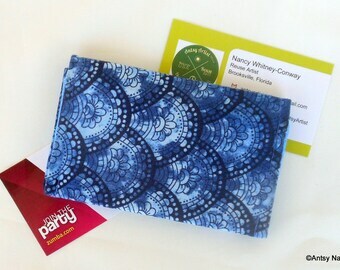 All major charge cards through Etsy Direct or PayPal. Florida residents will pay 6.5% sale tax. Orders will be shipped within ten business days, unless otherwise agreed upon, including made to order and custom made orders. USPS Priority Mail, Parcel Post or first Class for most orders.UPS for large items. A confirmation email will be sent with tracking info if available, once an order is sent. For all non United States destinations, packages are sent by USPS First Class International. Buyer is responsible for customs fees and any other delivery charges. Upgrades for faster delivery will be considered and buyer will pay the difference between the normal rate and upgrade costs. We welcome custom orders, so long as I have on hand or can find materials needed to make the piece. 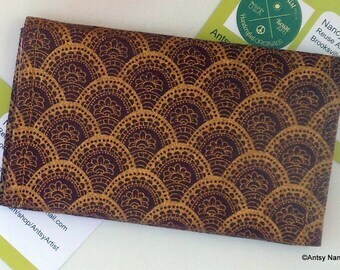 I will hand carve stamps from your designs (if possible).